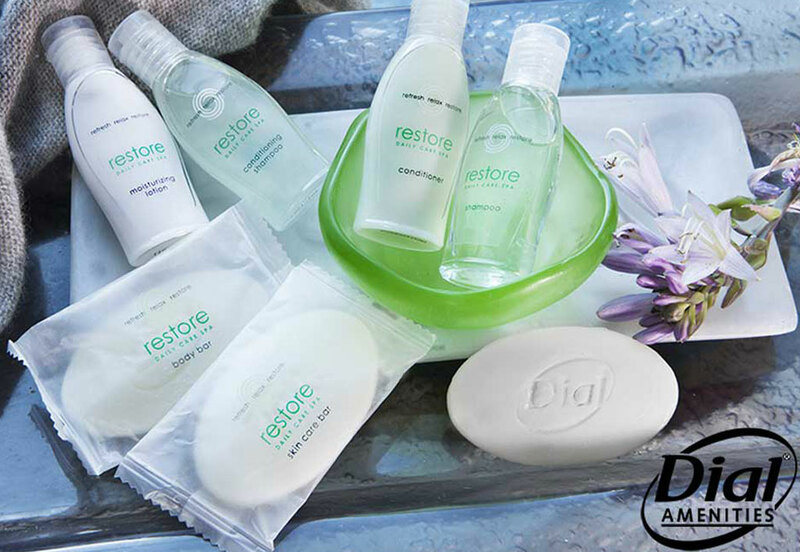 Restore® is Dial’s ® elegant spa-inspired premium amenity line. Stylish packaging and a rich fragrance provide guests with a pleasant and unforgettable experience. Our body wash and bar soap collection offers customers a mega-luxurious cleansing experience in both the bath or shower! Our unique formula leaves skin mega-hydrated, supple and soft. The unique formula of Restore Shampoo and Conditioner leaves hair clean, nourished and healthy-looking. Hair will feel softer, smoother and silky. The fresh scent will have your customers ordering more of this high quality, low price point collection. Moisturizing lotions are an important part of the amenity collection. Keeping your skin soft, fresh and moisturized, are key in maintaining health. Transmacro Amenities’ Restore moisturizing lotion will help maintain beautiful skin.